The Prison Policy Initiative's accomplishments are those of a much larger organization. Thanks to your support, we've added staff and our capacity to help make social change is growing quickly. Learn more about our current and past staff. 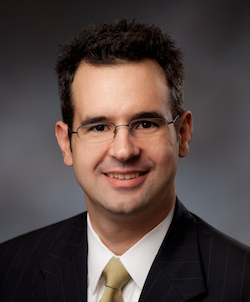 Peter Wagner is an attorney and the Executive Director of the Prison Policy Initiative. He co-founded the Prison Policy Initiative in 2001 in order to spark a national discussion about the negative side effects of mass incarceration. His report, Importing Constituents: Prisoners and Political Clout in New York, launched the national movement to end “prison gerrymandering” more than a decade ago. His research and advocacy caught the attention of the press — including 21 New York Times editorials — and led four states and more than 200 local governments to end prison gerrymandering. 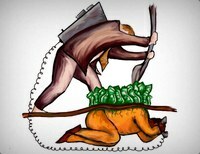 Under his leadership, the Prison Policy Initiative has helped propel other parts of the criminal justice reform movement forward by achieving critical victories in regulating the exploitative prison and jail telephone industry and quantifying the counter-productive effects of geography-based punishments. Some of his most recent work has brought the need for criminal justice and electoral reform to new audiences, including reports exposing the entire mass incarceration pie, helping Hank Green explain the failed mass incarceration experiment in a VlogBrothers video, working with Josh Begley to put each state’s overuse of incarceration into the international context, and putting the problem of prison gerrymandering onto theatre screens nationwide. In recognition of the victories he led on this and other issues, he is the recipient of the National Association of Criminal Defense Lawyers’ Champion of State Criminal Justice Reform Award (2013) and the American Constitution Society’s David Carliner Public Interest Award (2014). Aleks Kajstura, JD, Legal Director. Aleks has worked with the Prison Policy Initiative in various capacities since 2003, and has been our legal director since 2009. 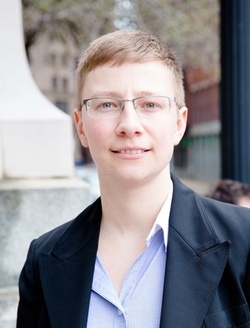 A 2008 graduate of the Benjamin N. Cardozo School of Law, Aleks played a central role in building the Prison Policy Initiative’s campaign against prison gerrymandering, including her publication, Prison Gerrymandering in Massachusetts: How the Census Bureau prison miscount invites phantom constituents to town meeting. 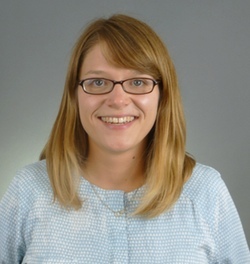 Aleks has also led the organization's work on its second major issue, sentencing enhancement zones, authoring The Geography of Punishment: How Huge Sentencing Enhancement Zones Harm Communities, Fail to Protect Children and Reaching too far: How Connecticut’s large sentencing enhancement zones miss the mark. Aleks continues to shed light on other hidden aspects of mass incarceration, for example sparking a New York Times editorial by highlighting mass incarceration's impact on women in States of Women's Incarceration: The Global Context. In her spare time, Aleks plays hockey, competes in triathlons, and serves on the Finance Committee for the Town of Sunderland. Wendy Sawyer is a Senior Policy Analyst at the Prison Policy Initiative. Wendy earned a Master’s in Criminal Justice from Northeastern University and a Bachelor’s in Afro-American Studies from the University of Massachusetts. She has worked as an investigator for the Civilian Complaint Review Board in New York City and as a research associate for Northeastern's Institute on Race and Justice. Most recently, Wendy authored Youth Confinement: The Whole Pie, a report illustrating where, why, and under what conditions justice-involved youth are held by the state, and finding that many of the problems of the criminal justice system are mirrored in the juvenile system. She is also the author of The Gender Divide: Tracking women's state prison growth, finding that in many states, treating women's incarceration as an afterthought has held back efforts to decarcerate, as well as Punishing Poverty: The high cost of probation fees in Massachusetts, which shows that probation fees hit poor communities hardest. Alexi Jones is a Policy Analyst and a graduate of Wesleyan University, where she worked as a tutor through Wesleyan's Center for Prison Education. In Boston, she continued working as a tutor in a women's prison through the Petey Greene Program. Before joining the Prison Policy Initiative, Alexi conducted research related to health policy, neuroscience, and public health. Wanda Bertram is our Communications Strategist. Wanda is a graduate of the University of Washington, where her focus on national security sparked her interest in prison policy and immigrant detention. Before joining the Prison Policy Initiative, Wanda reported on local criminal justice reform as a Seattle-based freelance writer while producing, managing, and strengthening the communications of area nonprofit organizations. 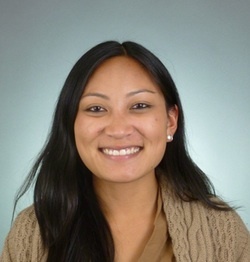 Bernadette Rabuy is a Senior Policy Analyst at the Prison Policy Initiative. Bernadette’s research has focused on prison and jail visitation and making key criminal justice data accessible to the public. She co-authored the first comprehensive national report on the video calls industry, Screening Out Family Time: The for-profit video visitation industry in prisons and jails, which has played a key role in protecting in-person family visits in Portland, Oregon, California, and Texas from the predatory industry. 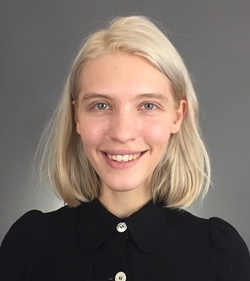 Her research was also essential to the movement that led the largest video call provider, Securus, to ends its automatic bans on in-person visits. Bernadette is passionate about making the criminal justice system easier to understand and therefore reform. She co-authored the report, Detaining the Poor: How money bail perpetuates an endless cycle of poverty and jail time, which finds that the median bail bond amount in the U.S. represents eight months of income for the typical detainee; Following the Money of Mass Incarceration, which demonstrates who pays for and who benefits from mass incarceration; and Mass Incarceration: The Whole Pie 2017, which answers essential questions like how many people are locked up, where, and why. Bernadette is a graduate of University of California, Berkeley and a current law student at the University of California, Los Angeles. She has previously worked with the Southern Poverty Law Center, Prison Law Office, National Council on Crime and Delinquency, VOTE, and Californians United for a Responsible Budget. You can say hi at @BRabuy. 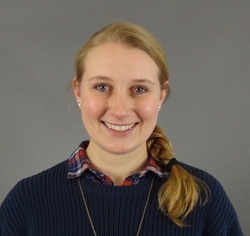 Emily Widra is a recent graduate of the Smith College School of Social Work. 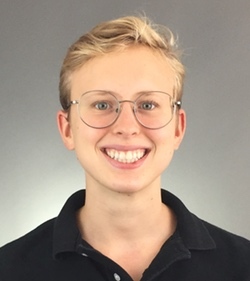 During the 2015-2016 year, she interned with us one afternoon a week helping on various research projects, including by collecting historical crime data and organizing criminal justice survey datasets to fuel future reports. She continues with us on a part-time basis and has published blog posts on what the psychology research says about the limits of video visitation technology, Travis County, Texas' experiments replacing in-person visitation with video visitation, and why Black women are disproportionately affected by HIV. 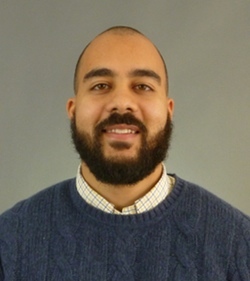 Lucius Couloute is a Policy Analyst and leads our work examining reentry and the effects of criminalization. He also works to bring accountability to the video calling industry. Lucius is working on a PhD at the University of Massachusetts Amherst, examining the structural and cultural dynamics of reentry systems. 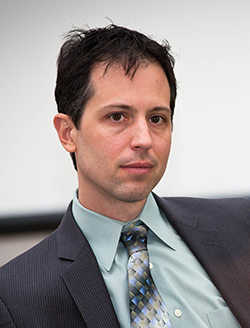 His academic work has appeared in Sociology Compass and some of his most recent analyses for the Prison Policy Initiative tackles homelessness and (un)employment among formerly incarcerated people, the unique harms of putting older people in solitary confinement, and the overlap between addiction and criminalization. Stephen Raher is a lawyer in Oregon who works with us through our volunteer network on projects at the intersection of the criminal justice system with various commercial sectors. He has written several pieces about the sale of goods and services to incarcerated people, including our report The Company Store: A Deeper Look at Prison Commissaries. His advocacy against financial exploitation includes spearheading our campaign to expose the abusive release card industry, and authoring rulemaking comments regarding the financial privacy rights of families of the incarcerated. Stephen has also supported the Prison Policy Initiative’s groundbreaking work on telecommunications and technology in correctional facilities, authoring our report on electronic messaging, exploring problems with computer tablets for incarcerated people, and submitting comments to the FCC, among other projects. 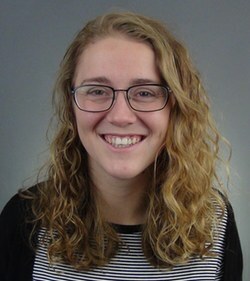 Maddy Troilo is a Smith College student who contributed research support as a volunteer at the Prison Policy Initiative during the 2017-2018 academic year. Previously, Maddy participated in a program studying the criminal justice system and mass incarceration, culminating in a community event focused on New Jersey's bail reform. After spending the summer of 2018 as an intern with the Orleans Public Defenders in New Orleans, Maddy returned to work with us part-time again this year. Bill Cooper helps us access and analyze geographic and demographic data. Bob Machuga designed our new site and has developed our new branding in addition to making videos and maps about prison-based gerrymandering for us. Jordan Miner develops the code behind some of our interactive features and internal tools. He made our map of sentencing enhancement zones in Hampden County Massachusetts interactive, upgraded our Prisoners of the Census FAQ, and created a lot of clever little features that help various parts of our websites talk to each other. Jordan lives in Illinois.